Lucille Ball stars in Mame. Mame is a film of the blockbuster Broadway musical that tells the story of the flamboyant, unconventional and, above all, glamorous Mame. 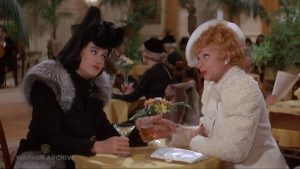 ﻿ I’m a large fan of Lucille Ball, and I truly expected to enjoy Mame. Sadly, I didn’t. I much prefer the earlier version with Rosalind Russell, for multiple reasons. The musical numbers are actually engaging and enjoyable. However, Lucy’s voice definitely became worse over time. Compare her singing in Dance, Girl, Dance and it’s clear she’s been smoking for decades. Frankly, Lucy should have made this movie a decade earlier. But the overall problem for me has to do with the underlying story. Mame thinks that everyone should live life with gusto, which I agree with. However, she can only enjoy her hedonistic life due to being a wealthy widow. Ordinary people face nasty consequences, like Agnes Gooch. And Mame does many questionable things, like enrolling her nephew Patrick in a “modern” school where all of the teachers are naked. It’s hard to imagine that in the day of the #MeToo movement. Besides the musical numbers, there are other redeeming features of Mame. The acting is good, even though the characters themselves aren’t very believable. Her courtship with Robert Preston is quite sweet. The loyalty of Mame’s servants/friends is quite endearing as well. 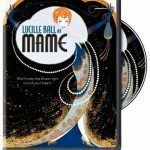 Lucille Ball stars in this film of the blockbuster Broadway musical that tells the story of the flamboyant, unconventional and, above all, glamorous Mame. 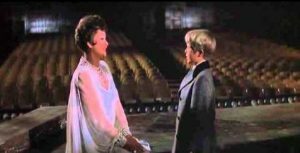 In 1928, nine-year-old Patrick Dennis (Kirby Furlong) comes to live with his Auntie Mame (Ball), who has a generous heart, believes life should be a party and collects fascinating friends. But the stock market crash of 1929 ends a decade-long fete and forces Mame into disastrous forays as an actress and a working woman, before doing what she knows best: marrying well. Once again wealthy, Mame returns to her self-appointed task of liberating friends and family from their bourgeois sensibility.